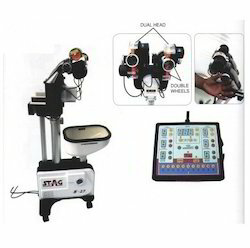 Stag Table Tennis Robot Premium Double Headed S-27. This top end robot with dual head is strongly recommended for all level of players and it is really a necessary addition to training. Metco Table Tennis Robot Double Headed for Professionals. 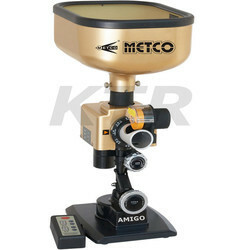 Imported from the world best manufecturers with 100% Quality Assurance. Aim practice game for Model 1040 & 2040. Settings from beginner to world-class to test your accuracy, consistency, and ability to relax under pressure. Use it with the supplied targets for a fun, entertaining game or without the targets as a workout timer. Stag Table Tennis Robot Humanoid T-3. For Beginners and School Level Players. 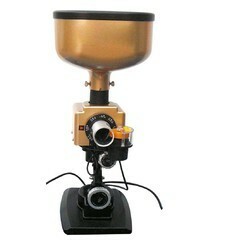 Stag Table Tennis Robot Super Premium 989G. This is a very advance robot with single head. 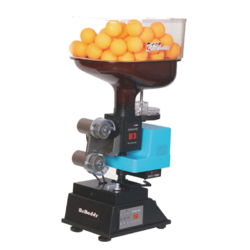 KTR METCO Table Tennis Robots Are Very functional ball catching net that collects balls during serve, multi-ball, or robot practice. 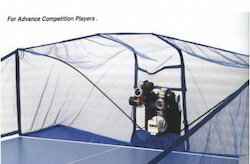 The collection net sits on the end of the table and both sides for maximum coverage and directs balls to the center of the net. Easy and quick mounting on the table. 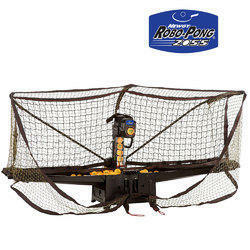 The Robo-Pong 1055 is more accurate, more reliable and faster than its predecessor, 1050. Digital accuracy for ball speed, placement and frequency. Selectable randomization controls create a more unpredictable robot. 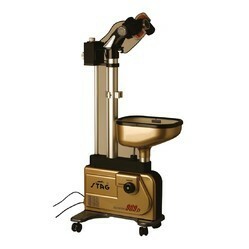 Comes with 64 pre-programmed drills for various playing levels. Optional use: Included RP.2.PC software to create, save and share custom drills by USB connectivity to a PC. Ball Bucket with Extender Cage holds approximately 200 balls. Dim. (LxWxH) Set-up 13 x 21 x 19"
Dim. (LxWxH) Set-up 60 x 31 x 18"
Dim. (WxHxD) Folded 14 x 33 x 11"
Convert Robo-Pong 2040 into a 2050! 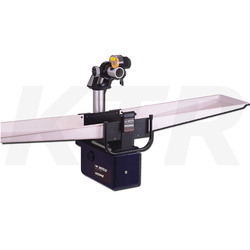 This upgrade kit consists of a 2050 robot body, digital control box and bracket, universal power supply, shielded connector cable, and 2050 Owner’s Manual. Remove your old 2040 robot body from the net system, slip in your new 2050 body, mount your new control box to the table and the old 2040 is now transformed into a 2050. 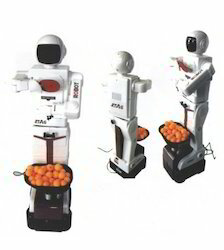 The digital upgrade kit offers a cost effective way to bring your earlier model Robo-Pong into the Digital Age. Metco model table tennis robot is light and handy. No matter where you go, you can carry it around as your personal trainer. 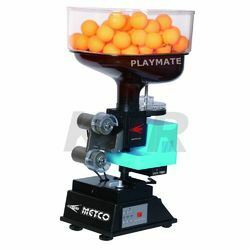 Metco Model Table Tennis robot is capable of selecting spin, frequency, speed, serve loop, angle and other features. This product is light-weight, flexible and easy to carry. 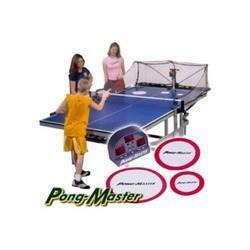 Metco model table tennis robot is specially designed for table tennis beginner and children. Speed and frequency setting can be accomplished on the remote control or control panel of the machine, convenient and flexible. 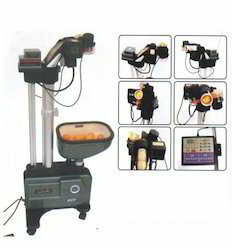 METCO TRAINING Table Tennis robot has the design of two friction wheels allows the user regulate the speed of ball more effectibely and the preset function on the control box let the player set up the desired speed and frequency before it starts. A Simple but effective robot for Beginners. Table Tennis Robot Premium 989D Stag Double Wheels. Digital Wired Remote (Change Ball Speed & Frequency).